What is the Average Cost to Install Solar in US? People often ask us about the approximate cost that will be incurred for installing enough photovoltaic (PV) solar panels on a house or business building to generate one’s own electrical energy. Well, if you are in South Florida, Mimeos Energy can help you execute an affordable solar experience using best-in-class materials and installation methods. An average house in the US consumes 10,399 kilowatthours (kWh) of electricity and at the rate of 1 kW per hour (kWh). With approx. 730 hours in each month, and the average price of a kWh of electricity is $0.10, an average monthly bill comes out to be $73 for 730 kWh of electricity. Electricity rates vary from state to state in the USA. While it at its lower, it is $0.07/kWh in West Virginia, on the higher end it can be $0.24/kWh in Hawaii, it’s relatively cheap here in Florida at around $0.10/kWh Please note that the guidelines mentioned here apply to an average home in the USA with average consumption and average electricity costs. To be on the conservative end, let us take the generating capacity of a solar panel as 10 watts/sq. ft. This represents a typical panel conversion efficiency of around 12. This signifies that for every kW generated, you need about 100 sq. ft. of solar panels. Thus, if the Sun shines 24 hours a day, then you could put up 100 sq. ft. of panels. But alas! The Sun is available only during the daytime and the amount of sunlight you get is inversely proportional to the extent of cloud cover. Additionally, the length of each day is also dependent on the season. Luckily, there are resources on the web from where you can count the average days of sunshine in your area. If you are living in South Florida, the average days of sunshine in a year is 233 days. The averages period of sunshine varies across the USA. While it is around 3 hours per day in places like Seattle, Chicago, and Pittsburgh, states like Colorado and California experience 5 or 6 hours per day of sunlight with 7 hours per day to that in Arizona. Here in Florida, because of our close proximity to the equator, we average around 11 hours of daylight! This clearly indicates that depending on the amount of sunshine received in your area, you may require different panel array size, ranging from 400 sq. ft. to 800 sq. ft. (i.e., 4 kW to 8 kW). If you happen to live in an area that receives less sunshine daily, you will need more panels and vice versa. Have you heard about net metering? Net Metering special meter that spins backwards when you generate more electricity than what you use, averaging out your annual bill to zero. Check if you utility company allows for this, or just tell us your location and we’ll let you know Due to shorter days during winters, you’re likely to be a net purchaser of electricity in that season and a net producer during summers. This is a grid-tied system and differs from that of an off-grid system, which is used in remote locations with no electrical service. The off-grid system requires batteries and can greatly increase the overall system costs. The cost of the solar plant installation is derived by that of the entire system. You will also need to replace some equipment like batteries over a period of time. Solar maintenance and cleaning are required very 1-2 years as well. The good news is that the costs for solar panels are expected to continue to drop, Mimeos Energy, Florida Solar Experts provides you a safe, education based opportunity to go solar and save. We lease, PACE, and purchase options and are committed to finding the best solution for you. 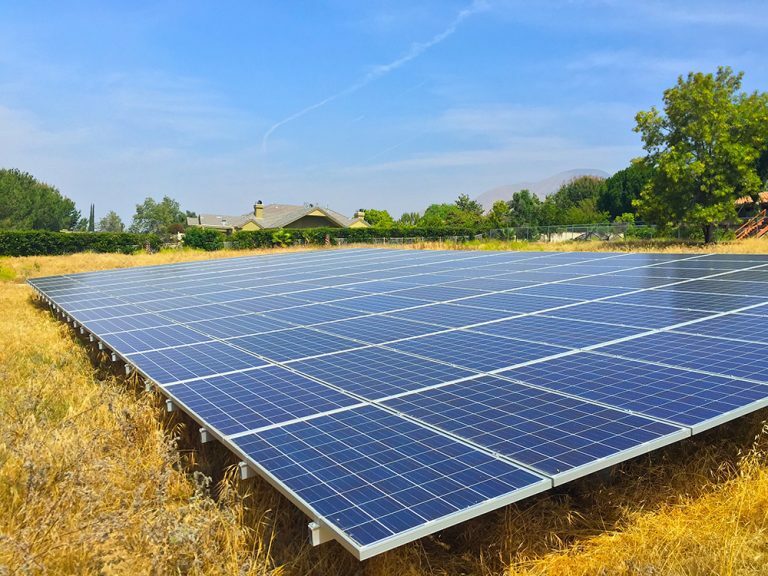 Assuming that the costs for installation and auxiliary equipment can be reduced to around $1 per watt, a 5 kW system may cost you as little as $10,000 with a payback period of 10 years (keeping the electric rates as constant). All this, without taking any subsidies in account. Doesn’t this make PV solar installations much more attractive? Of course, it does and the results are pretty much visible. You may soon expect to see more PV solar panels installed on roofs, especially in areas with abundant sunlight or with higher-than-average electricity rates.